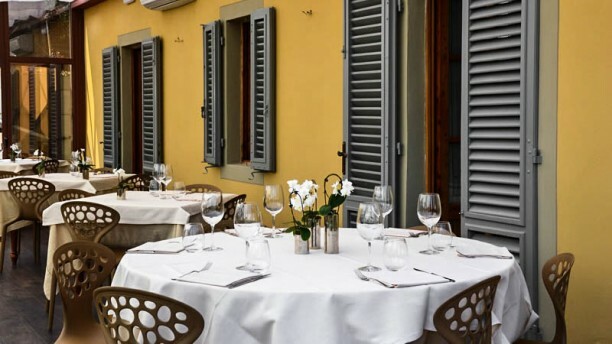 LA TOSCANA IN TAVOLA - Il ristorante Locanda di Pietracupa si trova nella cittadina di Tavernelle Val di Pesa. E’ circondato da una natura rigogliosa e offre un’incantevole vista sui dintorni. I prodotti tipici del territorio, abbinati alla fantasia dello chef, consentono agli avventori di assaggiare piatti sempre diversi che rispecchiano però la tradizione gastronomica toscana. LA SCELTA – Le paste fresche fatte a mano sono imperdibili così come sono imperdibili i secondi piatti a base di carne. IL LOCALE – La cantina è sempre ben fornita sia con etichette tipiche toscane sia con vini di altre regioni d’Italia. La sala interna è accessibile in ogni momento dell’anno, mentre gli spazi esterni sono utilizzabili esclusivamente durante la bella stagione. This review process is a bit silly. I am unable tp rate the restuarant highly because it knly lets me put 7 out of 10. This is a very special place. The food was superb and the ambience and wine was very memorable. Quite delicious! Suits a special occasion or family meal. Beautiful surrounds on the Tuscan hillside. We stayed upstairs. Very quaint. Would go again! First class restaurant with great food and service. Thoughtful cuisine and every item we had cooked perfectly. Awesome restaurant in the heart of Tuscany. A wonderful restaurant, delightful owners and staff and superb home-cooking style food. Great wine list too. I. Excellent food with first class service. The outdoor setting in the Chianti countryside is marvelous! Verry unique menus with local fresh ingredients. Highly recommend a try! We were there for lunch on a Monday. The food and wine were excellent and it was good value for money. I would recommend trying the steak tartare starter. Service was attentive but seamless at the same time. Overall a great lunch to celebrate my birthday! Verry good food (various and interesting) and service.. The view outside is ok - not so good as we thought. Big wine list. Price / value are good. Had lunch with friends and from the antipasti to the primi piatti until the coffee we enjoyed every moment. I would highly recommend!!! ❤️???????? Another outstanding meal and wonderful evening on the terrace watching the sun set. Don’t miss this one if you are in the area. Wonderful menu and probably the best truffle pasta I’ve ever tasted. Service was attentive. Atmosphere was quiet-we ate in the garden room and had a nice setting. Wines by the glass were very good. Would be back when in the area again. Really good experience!! Food is amazing, definitely to try. Excellent restaurant. We always enjoy coming here. Excellent service and the food was outstanding. Our waiter was very knowledgeable about the food and wines from the region and made a great recommendation to pair with the different dishes that make the tasting menu.